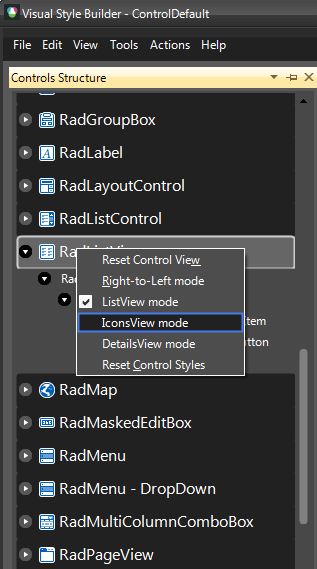 This help article will demonstrate a step by step tutorial how to customize the ControlDefault theme for RadListView. 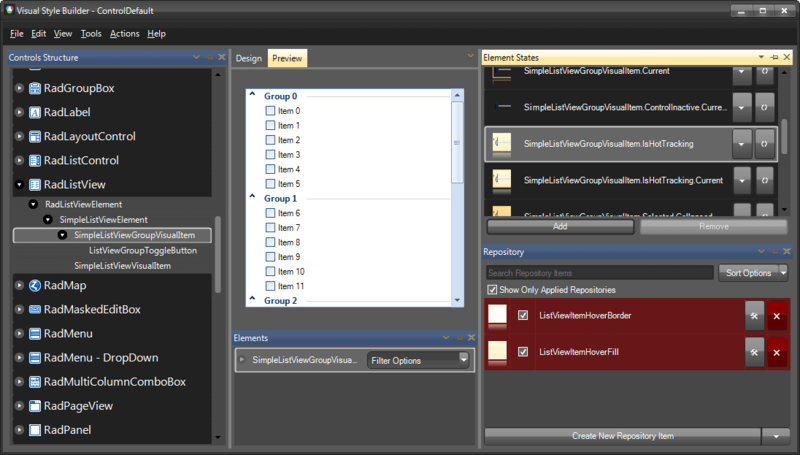 Select SimpleListViewgroupVisualItem in Controls Structure on the left side. 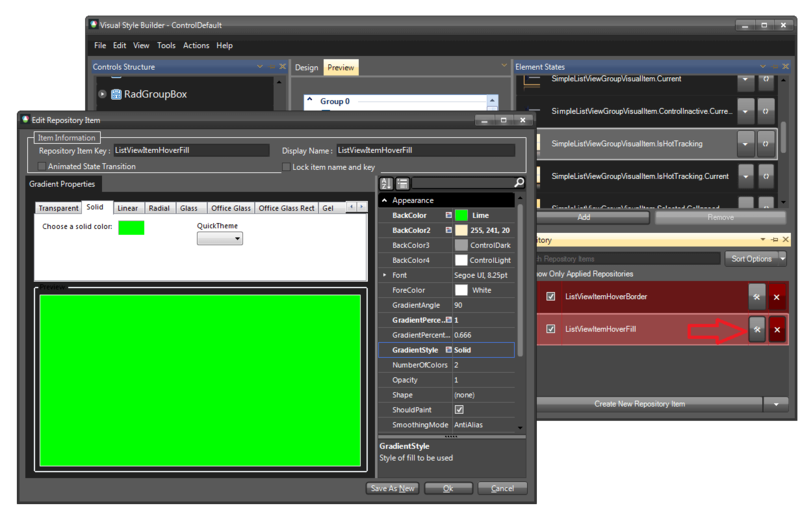 Then, select IsHotTracking in the Element States section. 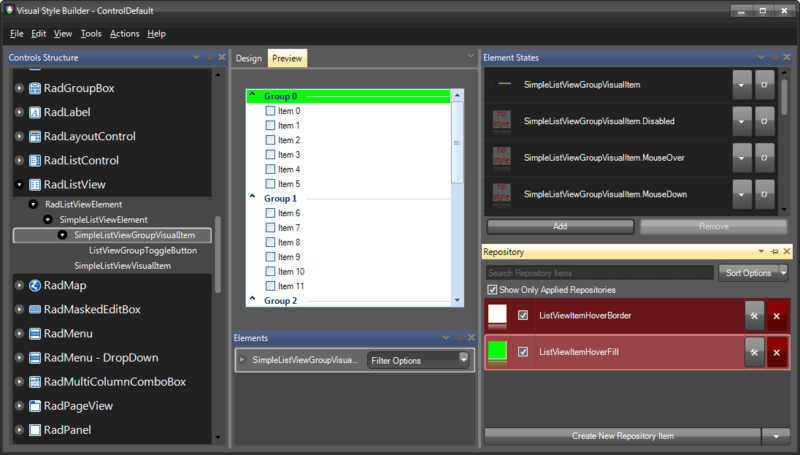 Modify the applied fill repository item.